Home News Amazon Echo Plus 2nd Gen vs Echo Plus 1st Gen: What’s New? Amazon Echo Plus 2nd Gen vs Echo Plus 1st Gen: What’s New? The upgraded lineup of Amazon Echo smart speakers just showed up and like the smaller sibling, the Echo Dot, Amazon has also refreshed the Echo Plus. The second generation of smart tower speaker follows a new rounder design language and a bigger speaker offering a richer, louder sound experience and better bass. 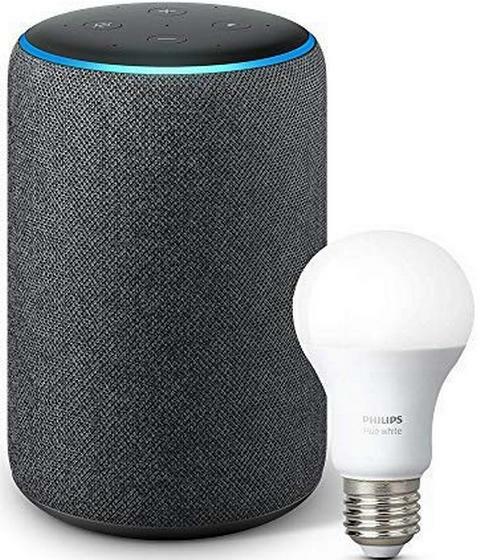 Along with the better sound delivery, the new Plus also gets local voice control which means that it can work even when the internet link is down, for a limited set of commands such as controlling smart lights or other home appliances. Let’s go through the changes in this generation of Amazon Echo Plus over the last model. 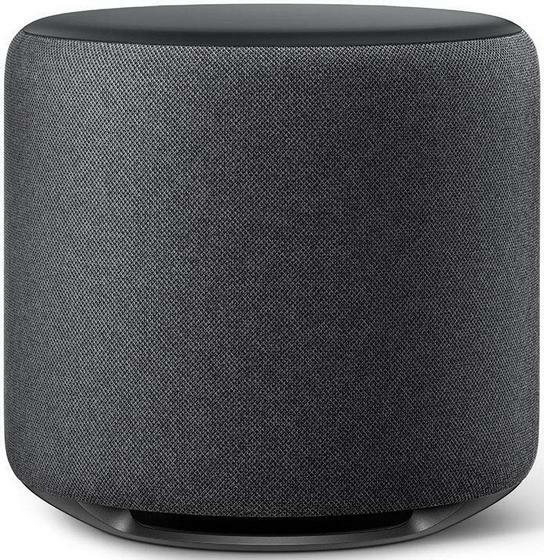 Apart from embracing a rounder desig`n like the HomePod, the new Echo Plus speaker is noticeably smaller. The smaller size also allows Amazon to shed some weight and makes the new Echo Plus a bit more convenient to move around for users. It follows the same fabric design language as the Echo Dot 3. The Echo Plus 2 also gets the new grey color besides the black, and white ones, which should allow it to blend easily in most living rooms. 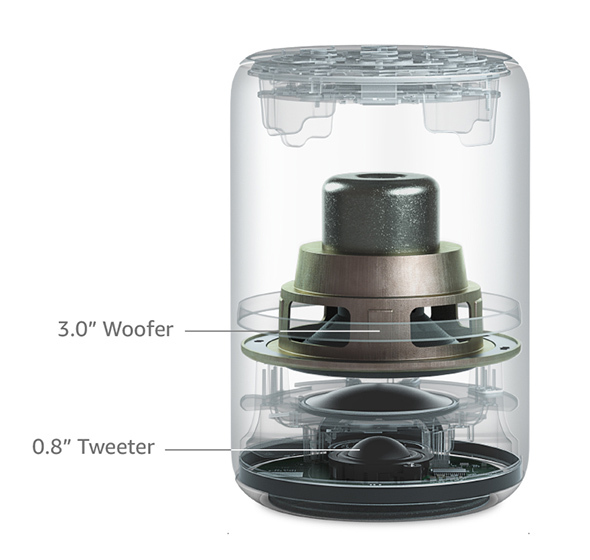 The most easily observable change in the Echo Plus is the new 3-inch woofer to complement the 0.8-inch tweeter. While the bigger woofer can be expected to make the overall bass clearer and louder, Amazon says that the new Echo Plus gets an improved 360-degree audio experience with emphasis on clarity. There’s no apparent change for Alexa’s mics in the Amazon Echo Plus 2; it still has seven far-field microphones which can hear you even when there’s a lot of noise around you. These microphones also help in canceling ambient noise when you are talking to the speaker. Amazon also decided to shove a temperature sensor inside the second generation of Echo Plus 2 to make it more receptive to the ambient temperature, and automatically change it in some cases. Alexa can automatically control thermostats connected over a ZigBee network. You can connect a wide range of automatic devices such as motion sensors, smart plugs, and smart lights, locks etc. over the ZigBee protocol. 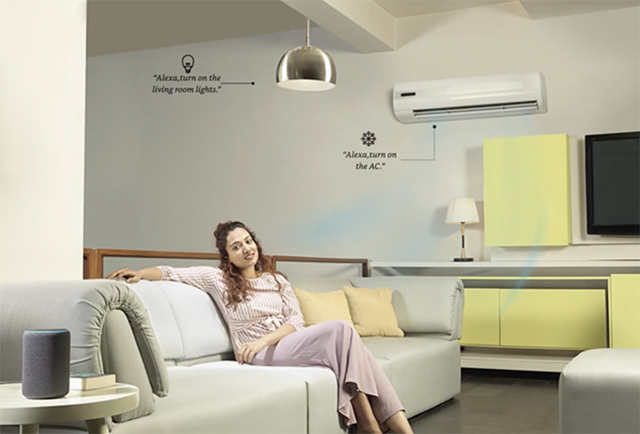 For now, the applications of the thermal sensor might be limited to air conditioners and maybe smart geysers but this opens up room for a wider range of applications. In the future, we might see Alexa getting inside washing machines and fridges – now that it’s already inside a microwave. Just like with the renewed Echo Dot, Amazon has also kept the same price for the Echo Plus 2. In India, the new Plus will be priced at Rs 14,499 and is currently on pre-order. However, while the older generation of Echo Dot is still available, the older Echo Plus seems to have been discontinued. If you are just stepping into the world of smart speakers, I’d recommend you go with the most affordable of them all i.e the new Echo Dot for Rs 4,499. On the other hand, if you’ve no budget limitations, you can pair up an Echo Plus 2 with an Echo Sub subwoofer for even more thumping bass.